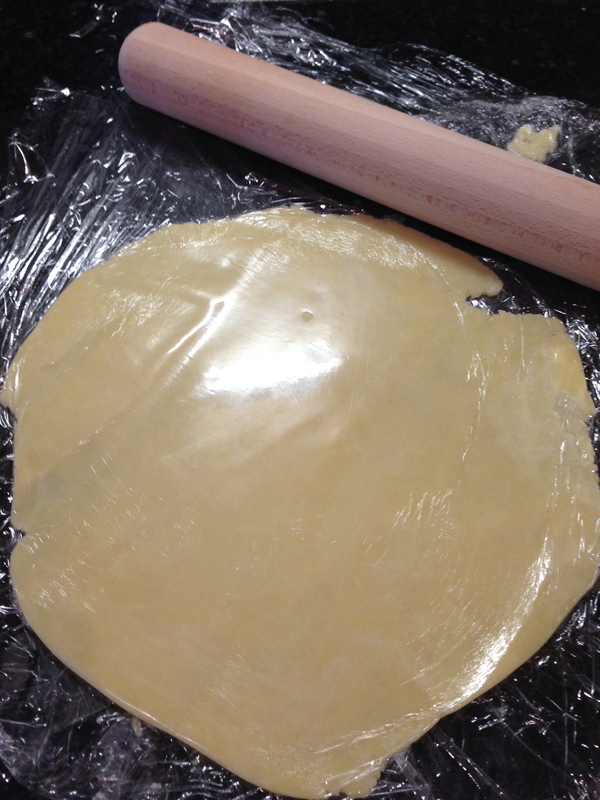 or just 200g of SR Flour , I think the almonds give a really nice texture. 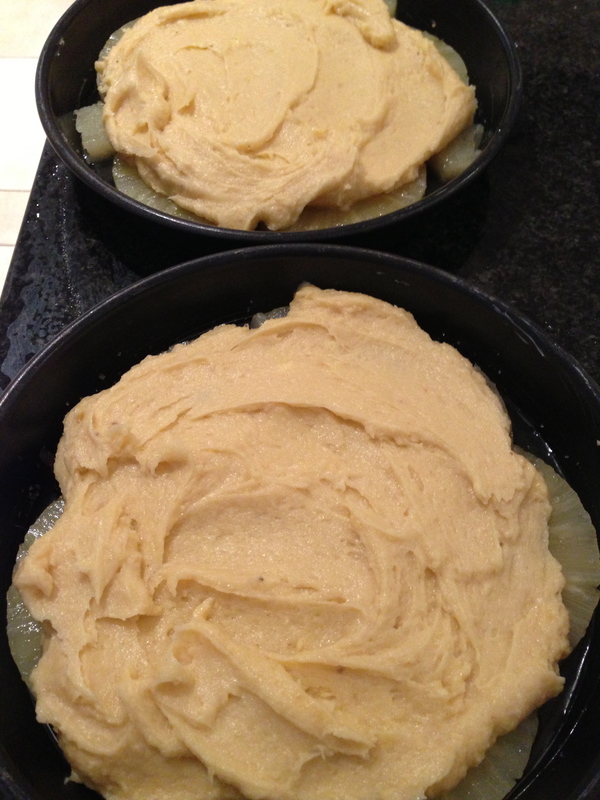 Grease cake tins with butter, I used sandwich tins as I wanted delicate slices of cake and pineapple. 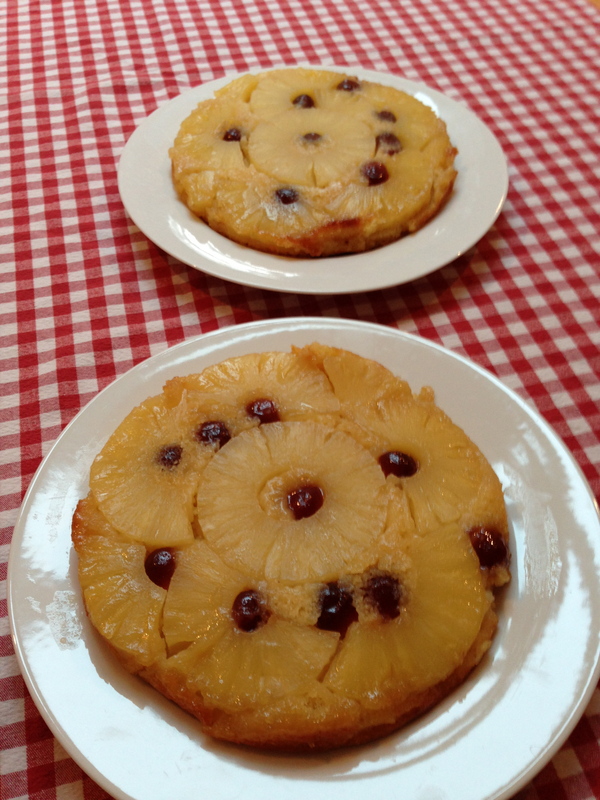 Arrange pineapple in bottom of cake tin or tins. Add glace cherries to make a pattern. Sprinkle a little sugar over pineapple this will make a sticky topping to your cake, pineapple juice could be sprinkled on too. 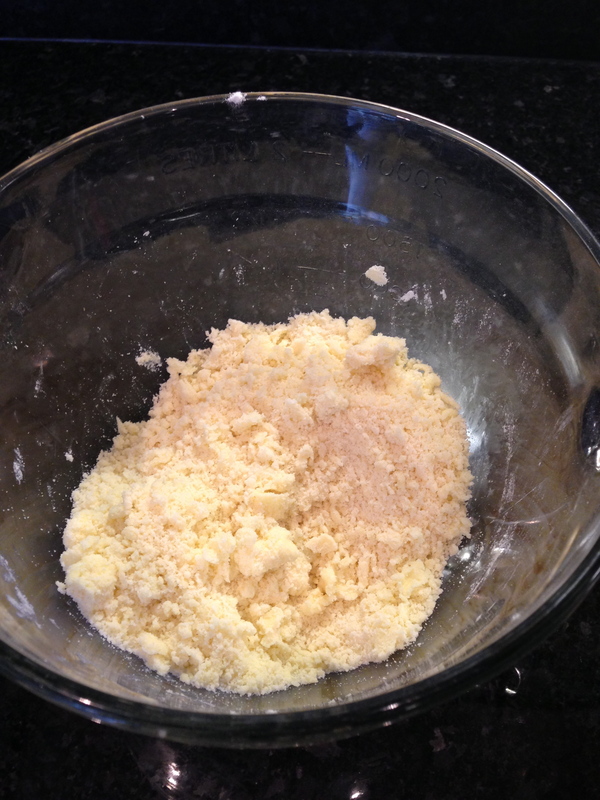 Allow butter to soften , cream butter and sugar together. 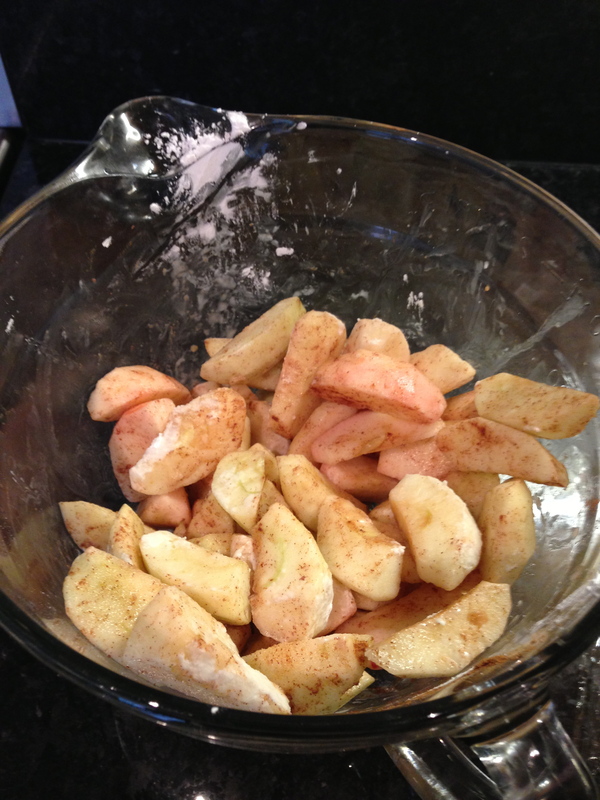 stir in flour and ground almonds, make sure all is well mixed together. 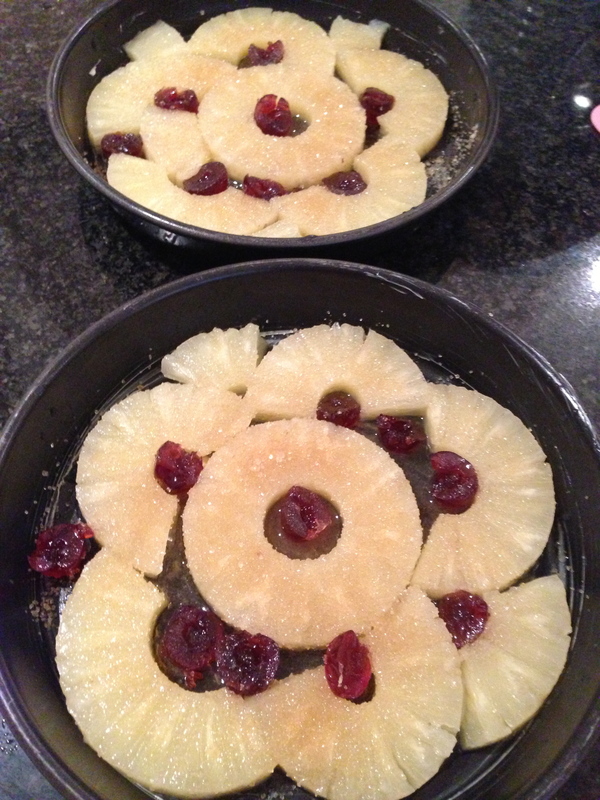 Spoon on top of pineapple in tins, it will just be a thin layer. 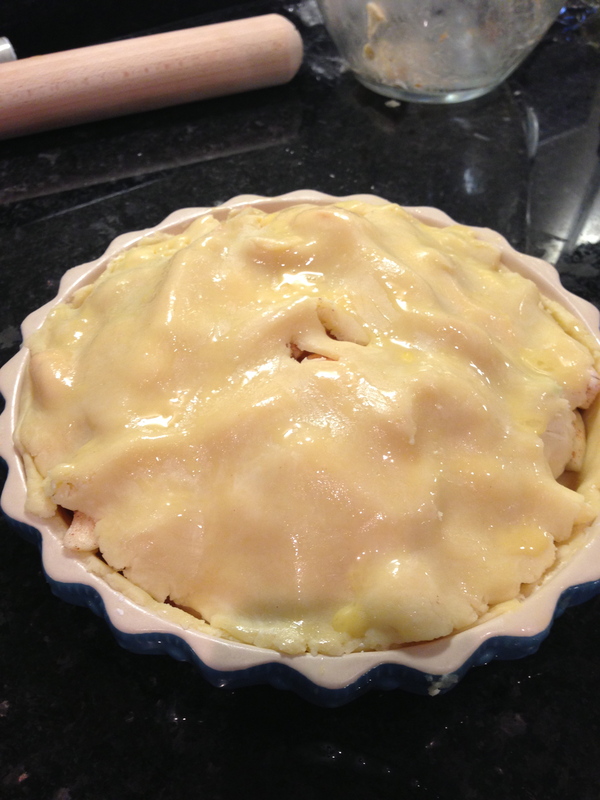 bake in pre heated oven 180oC for 20 mins. 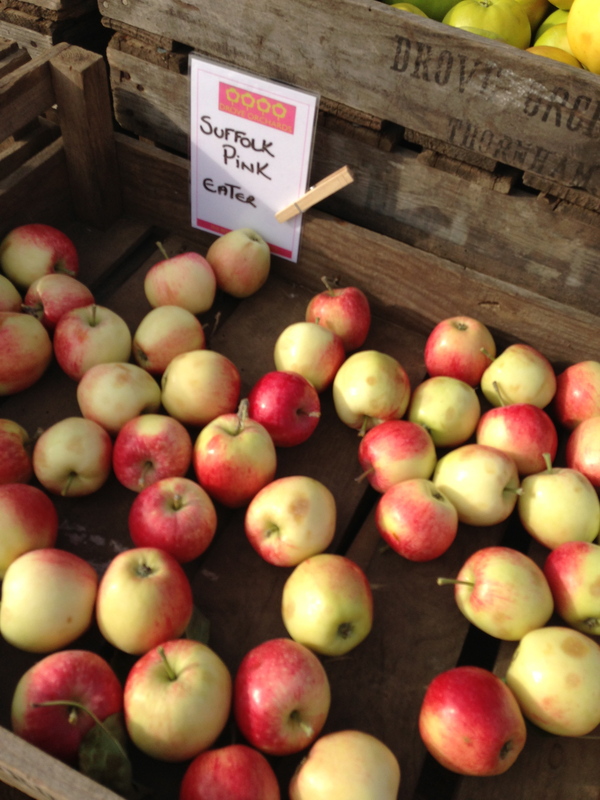 Cakes should be golden brown and spring back when pressed. check with knife or skewer. 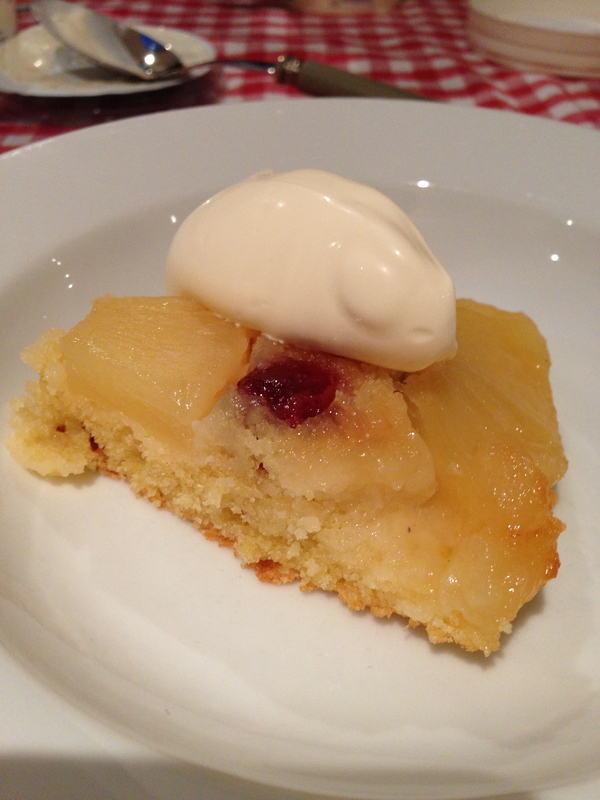 Release cake around the edges with a spatula and tip out onto a plate, revealing sticky pineapple topping . Eat warm with double cream. 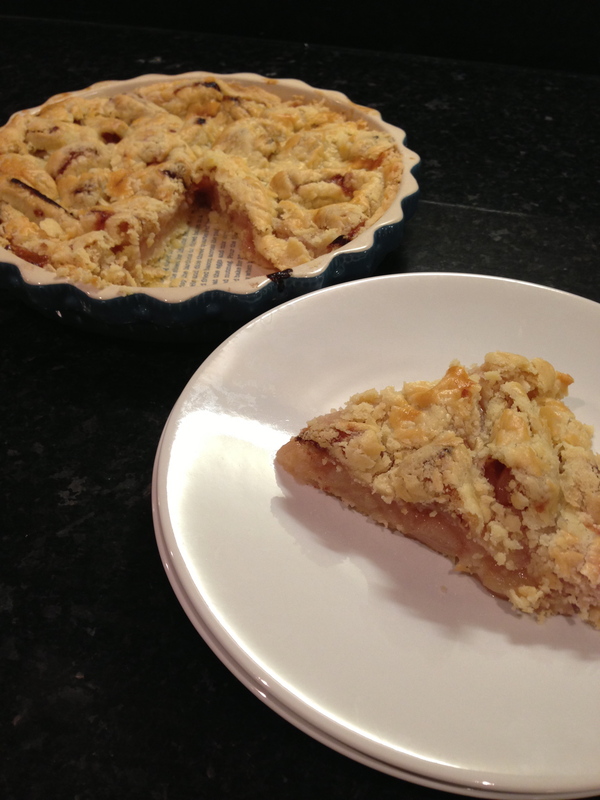 I was thrilled to be asked by Karen to review her Wow bakes cakes recently. I regularly buy @wowmuffins Savoury and sweet muffins from the @creakeabbey farmers market in Norfolk so was very keen to taste the gluten free cakes. Unfortunately these delicious cakes are not yet available at Creake Abbey farmers market. 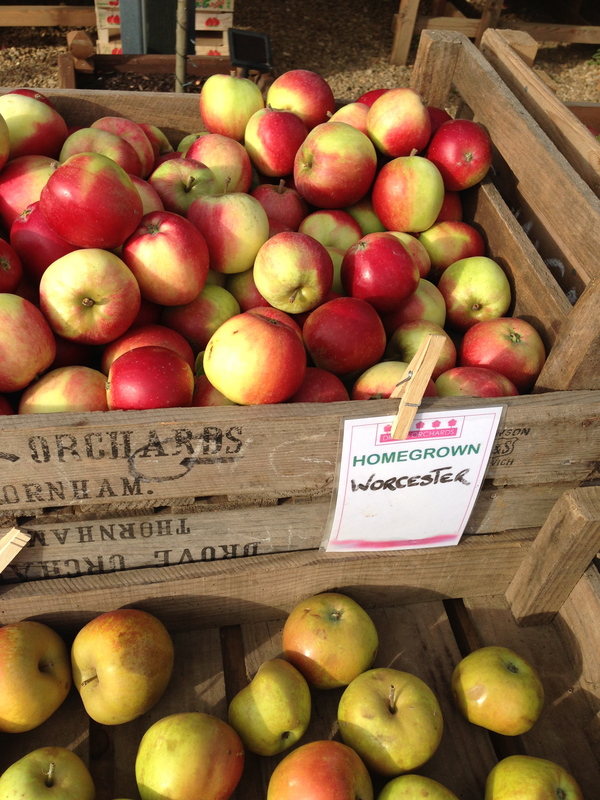 But are available from Back to the garden in Letheringsett North Norfolk. 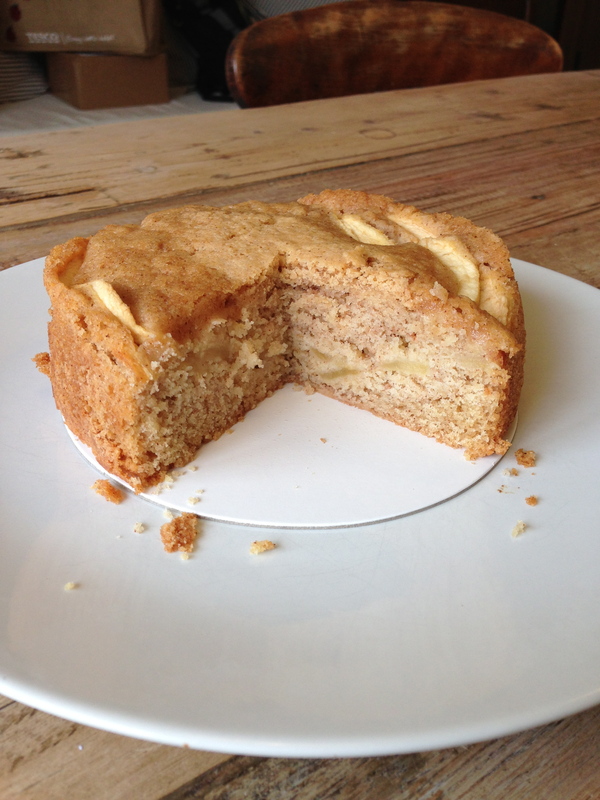 Fruity apple cake – is also dairy free, a lovely moist cake due to the goodly amount of apple inside. 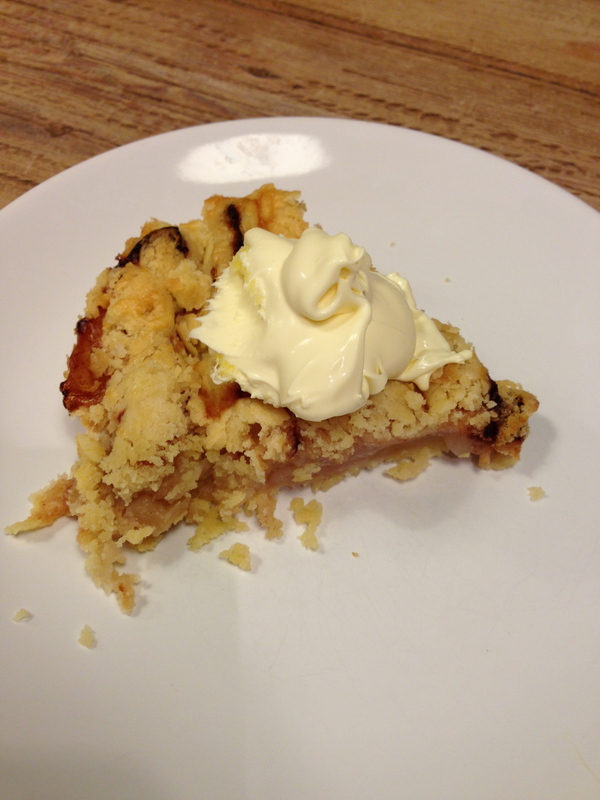 Quite crumbly, the family liked it best with a dollop of double cream. Gluten loving friends gave it a thumbs up too, saying they would never have known it was gluten free. I gave this cake a 8/10 Could definitely be used as a pudding too. 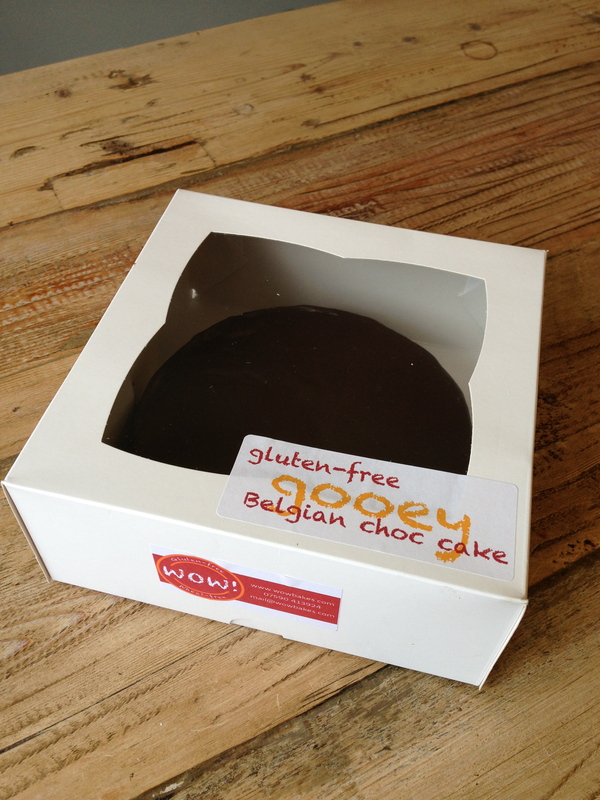 Belgian Chocolate cake – what can I say! We were all very impressed with this cake. Rich and delicious reminded us a little of a chocolate torte. I loved the chocolate coating all over the cake. Very decadent. Glad to see butter used in this recipe. 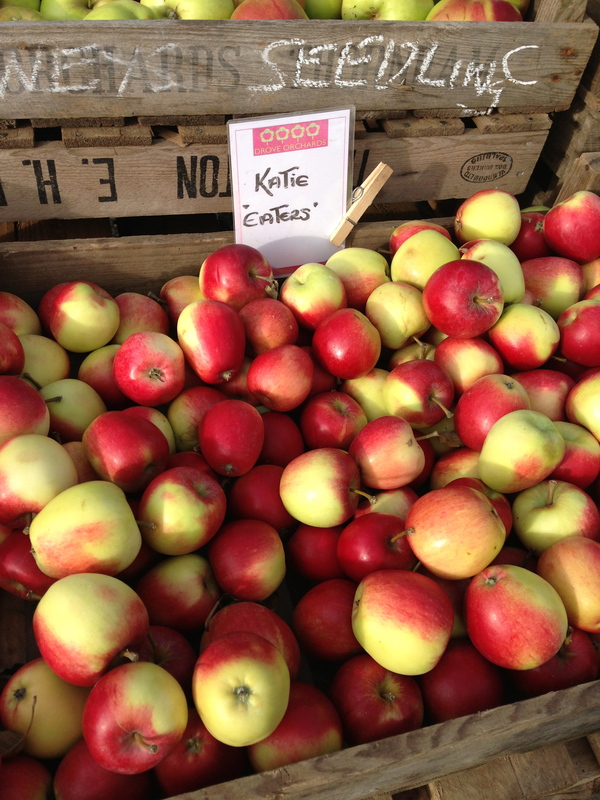 A big favourite with family and friends. I awarded this cake 10/10 and would definitely buy it for a special occasion. 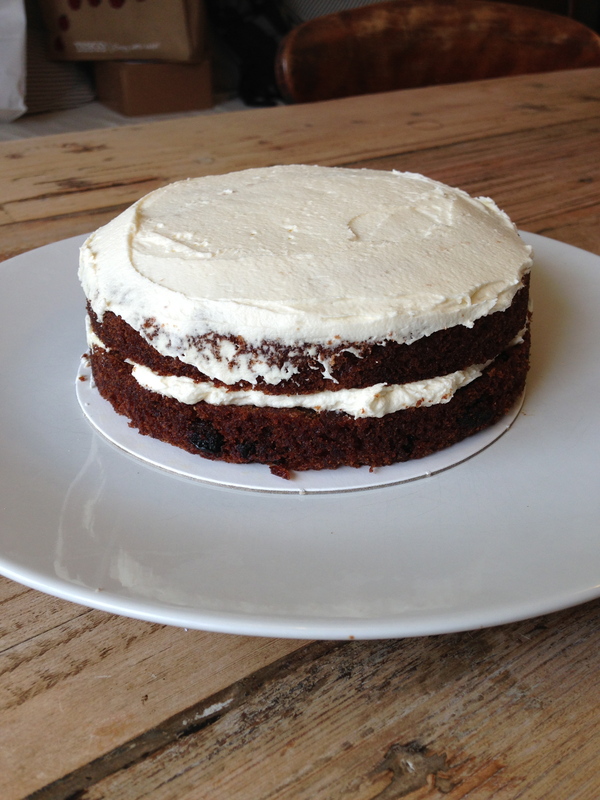 Carrot cake – this cake is dairy free too. 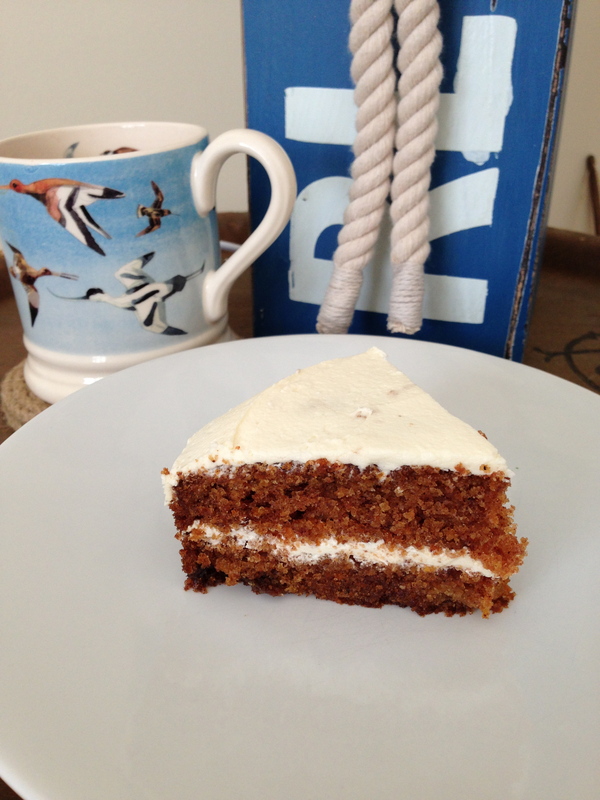 I am a fan of carrot cake and this one is very good and very light. A very moist cake too and not overly sweet. A definite 9/10 . Would definitely buy this one if I had guests coming for tea. 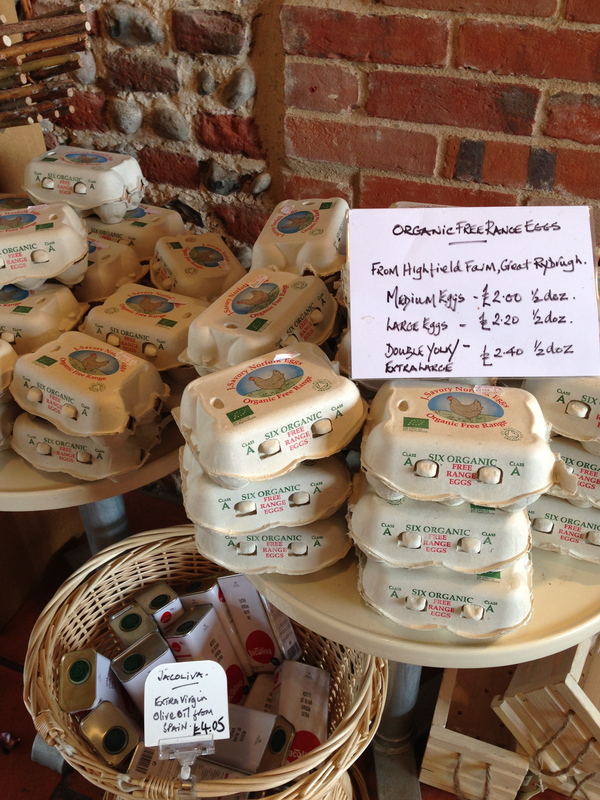 WOW muffins & bakes are a Norfolk company and the cakes are available at local farmers markets, shows and local cafes in East Anglia. 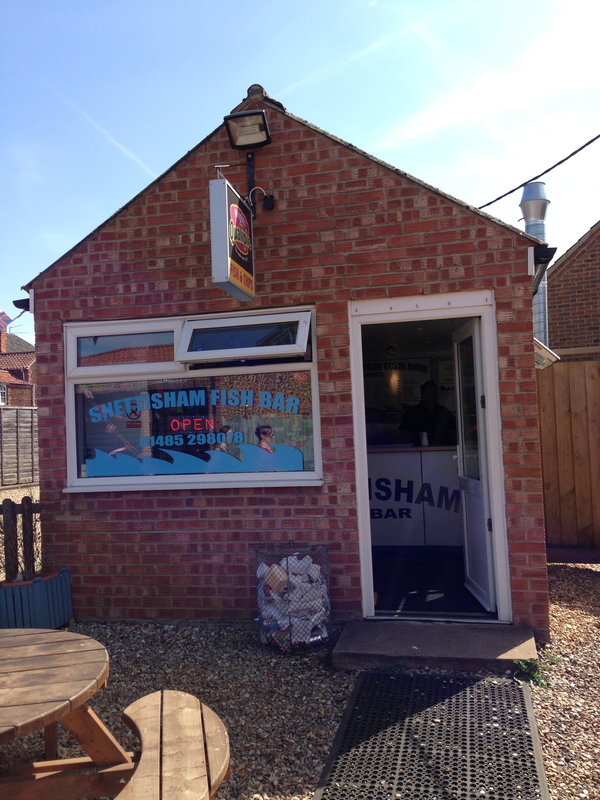 I thought it was about time I revisited the Snettisham Fish bar, A tiny chippy a short drive from me. A large poster on the door announces that the Fish bar is Coeliac and gluten intolerant friendly. The owner is very knowledgeable too, we had a long chat while my fish and chips cooked about his visit to a trade show where he learnt about the need for separate equipment etc because of cross contamination he also showed me how he kept the gluten free batter mix separately from everything else. 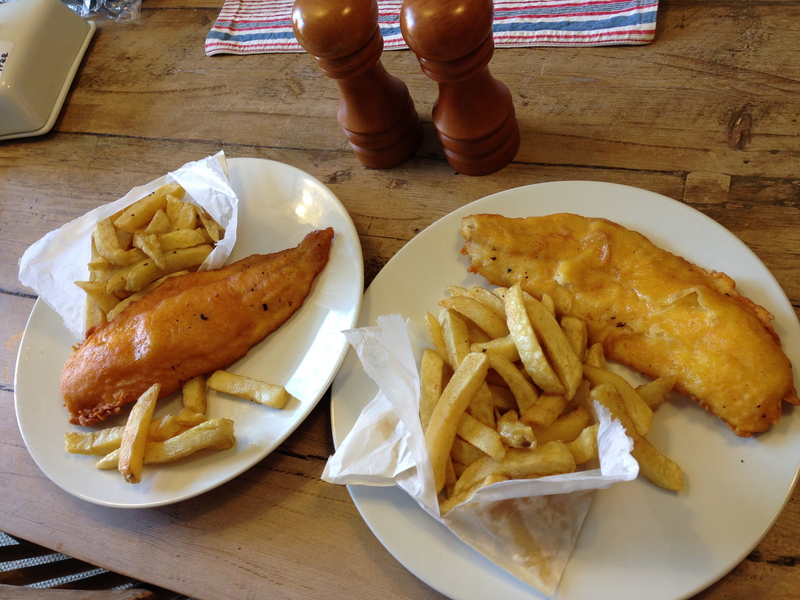 The Gluten free Cod and chips was cooked in the chip fryer. Only used for frying chips. Not only can you have any choice of fish. You can also have scampi, prawns or sausages in the Glu-2-Go batter. 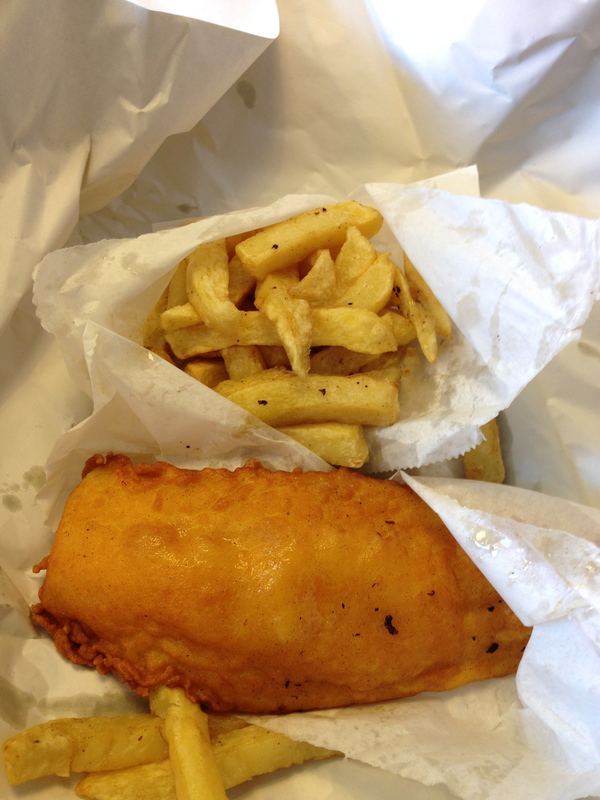 When I arrived home and unwrapped my Cod and chips it looked amazing, I really miss having the option to dive into a fish and chip shop at the seaside like everyone else. 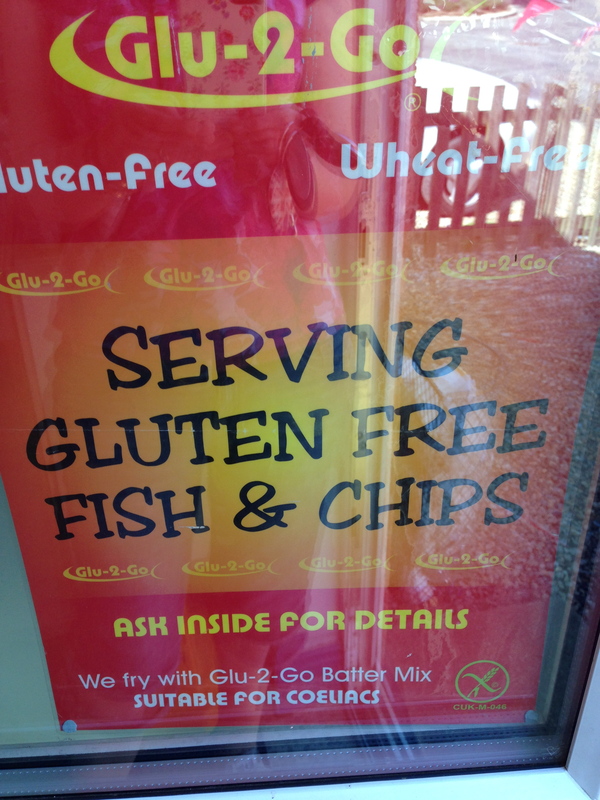 So when you find a chippy that is gluten free its very exciting. The chips were incredibly good, just what I had hoped for. Sadly something was not right with the batter this time, and instead of being lovely and crispy it was soft and just acted like a skin around the Cod. I was so disappointed as we have eaten from here once before and the batter had been beautifully crispy. I will definitely pop by when I pass to let them know, and will give it another go soon. 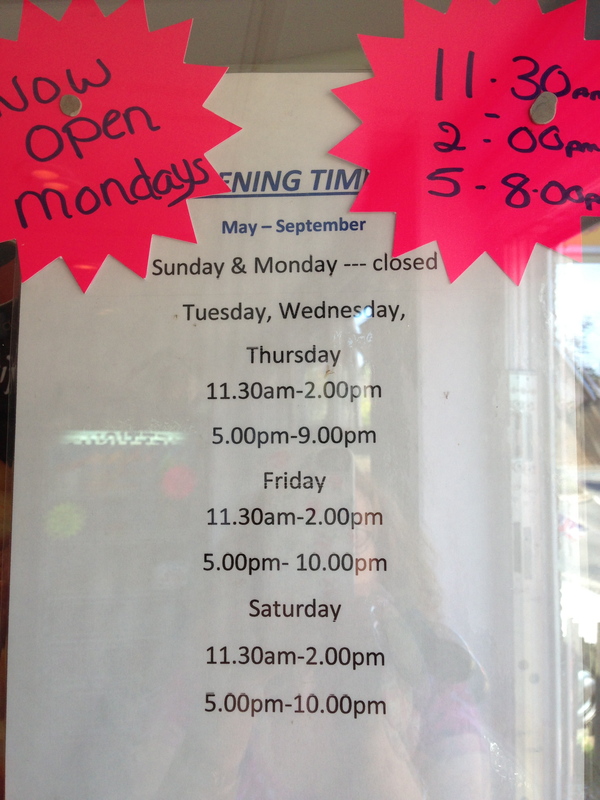 The Fish bar is in Alma road, Snettisham Norfolk . 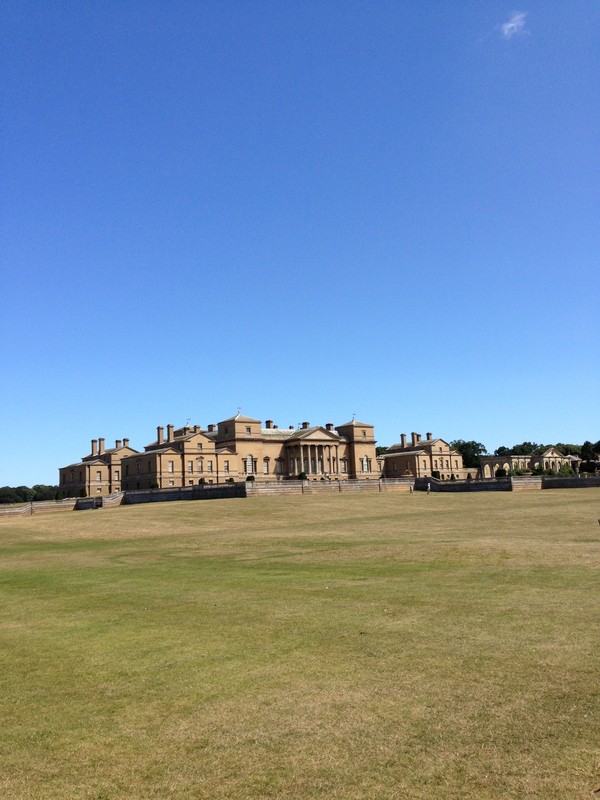 worth a visit when you are passing. 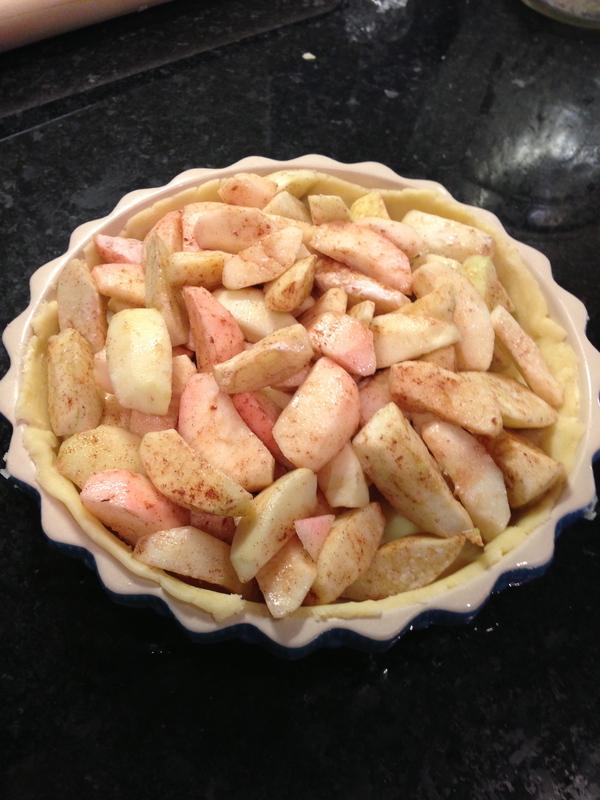 Hopefully the batter will be back to its crispy self soon! 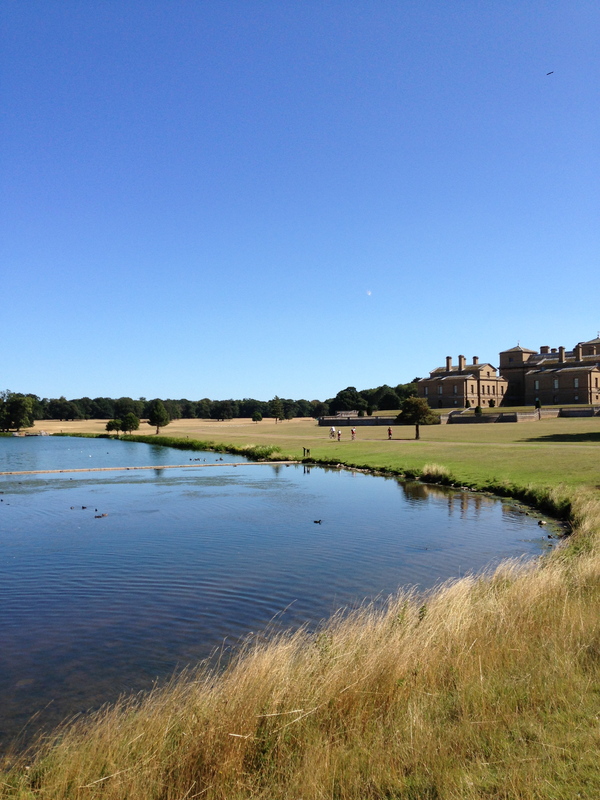 Today I decided to take a drive to Holkham Hall, thought it would be a great place to take the Dog for a walk. Dogs need to be on lead at all times due the the many Deer in the parkland. 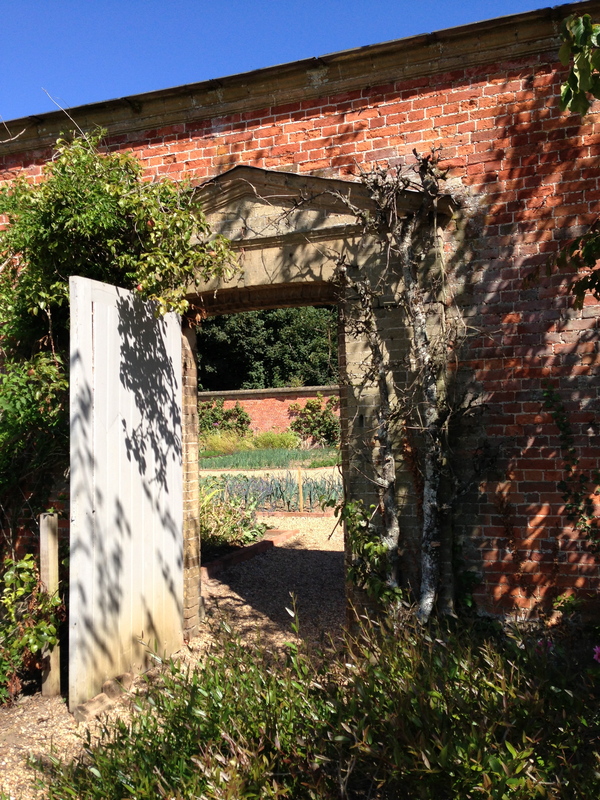 My favourite place at Holkham is the Walled garden, so I decided to take a walk there. 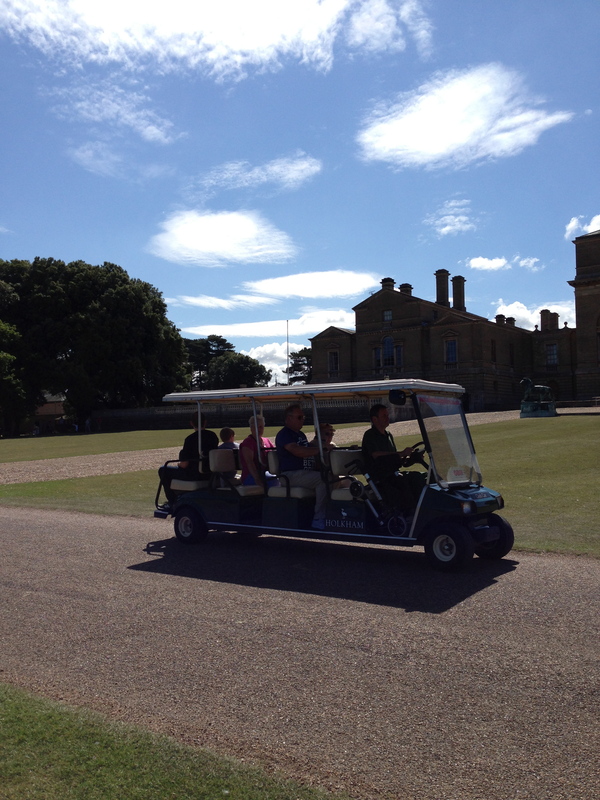 A golf buggy is also available to ferry you to the garden if you don’t fancy the walk. 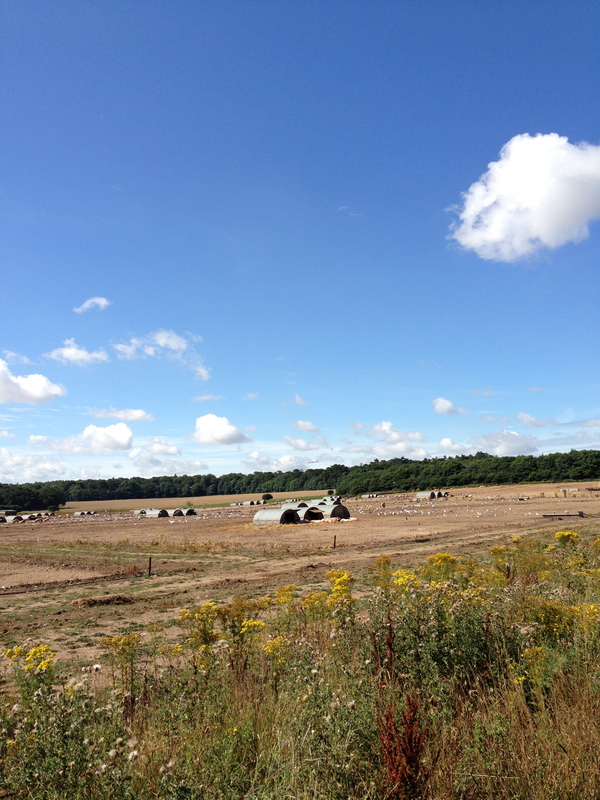 On the way you can see lots of happy pigs, sunbathing today! 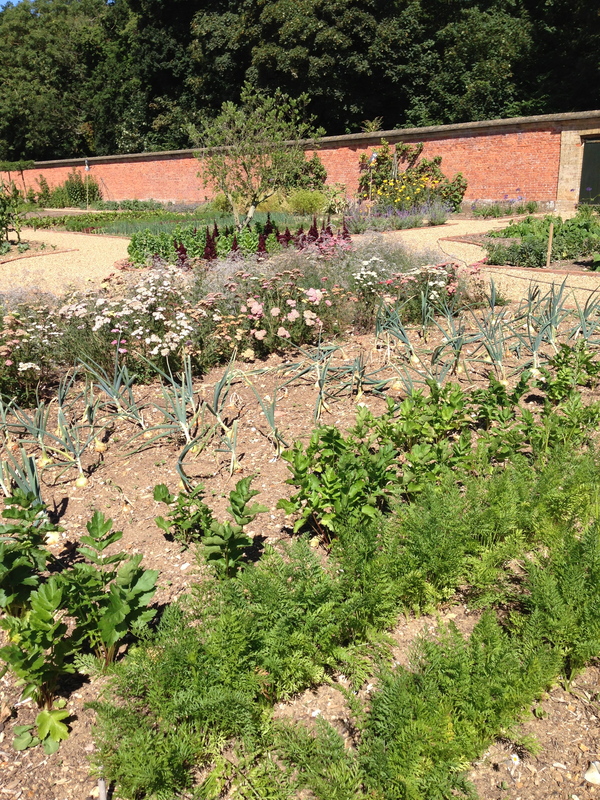 The Walled garden is currently being brought back to its former glory, already it looks amazing! 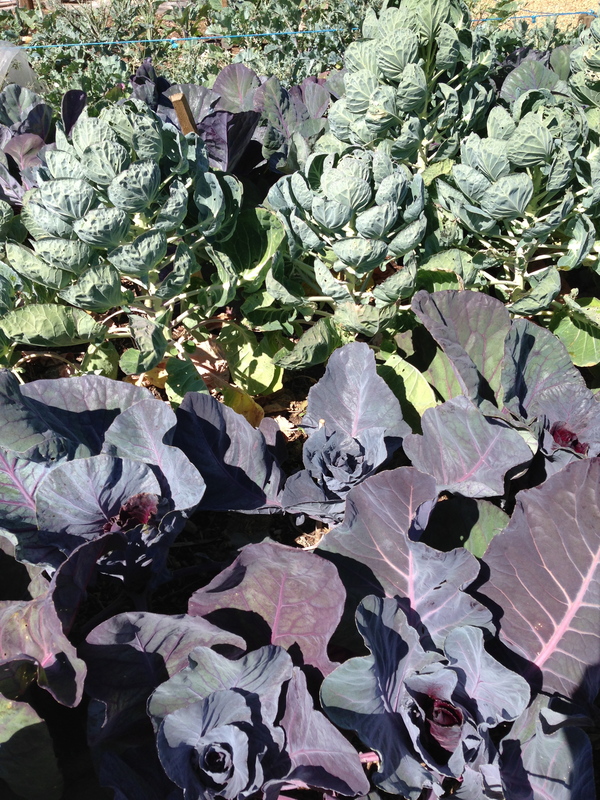 The vegetable garden was full of the most amazing veggies ready to be harvested. I was pleased to see a choice of gluten free goodies available. Brownies and cake slices from Honeybuns Bakery and Large slices of cake from Sponge. I decided on a pot of tea and a huge slice of Apple crumble Sponge cake and a tiny carton of Rodda’s clotted cream very indulgent ! But essential for research purposes. 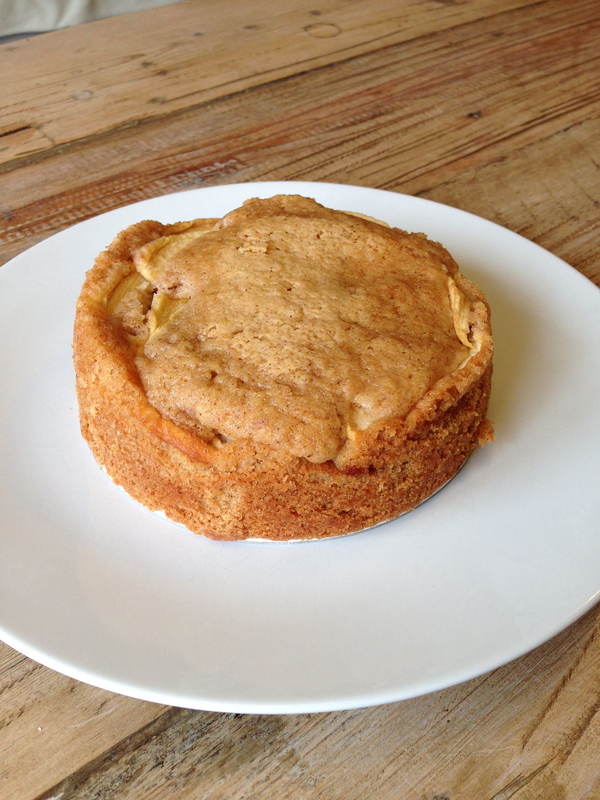 Not being able to resist I bought a slice of Honeybuns bakery Almond moon. I’m saving this for a picnic later this week. I was pleased to see a long line of freshly filled Dog bowls outside the cafe. Much appreciated by my four legged friend. The Sponge cake was very delicious, if a little over sweet. 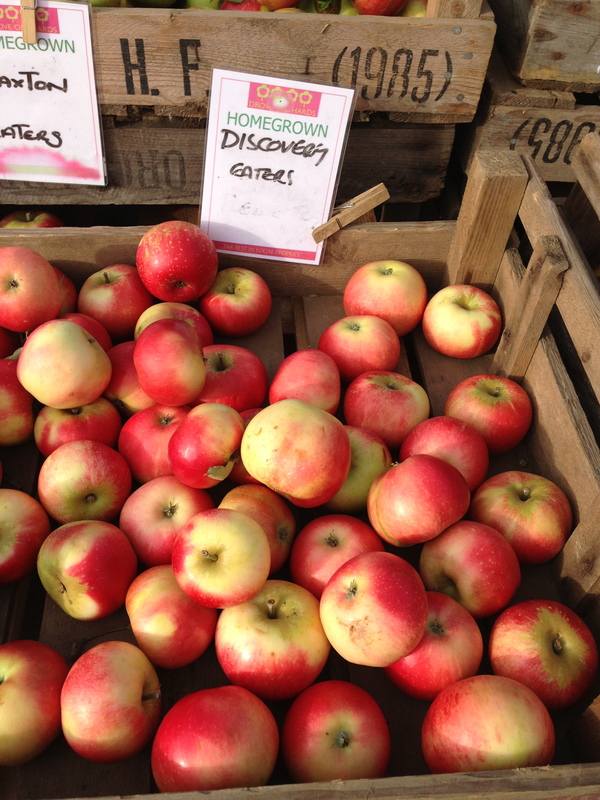 Love the combination of apple and cinnamon, great texture too. think you would be hard pushed to tell the difference between this and a regular gluten filled sponge cake. 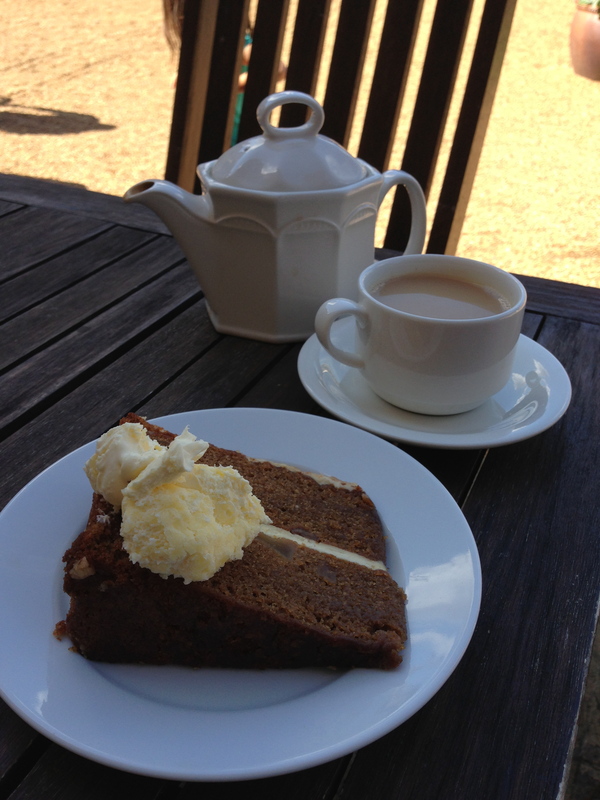 The clotted cream went brilliantly with the cake, felt like I was having a cream tea. Pleased I could buy the cream separately from scones. The staff were helpful and friendly and informed me that they also served soup which was gluten free and usually dairy free too. Will definitely try the soup next time I visit. After over 2hrs in the sunshine I headed back along the coast with one very tired Dog. 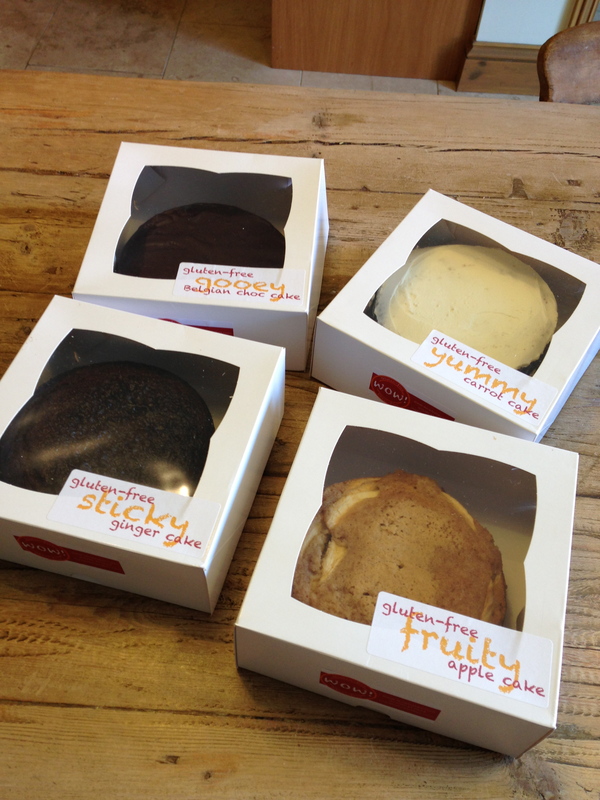 For more information on Sponge gluten free cakes Perfect for occasional treats. 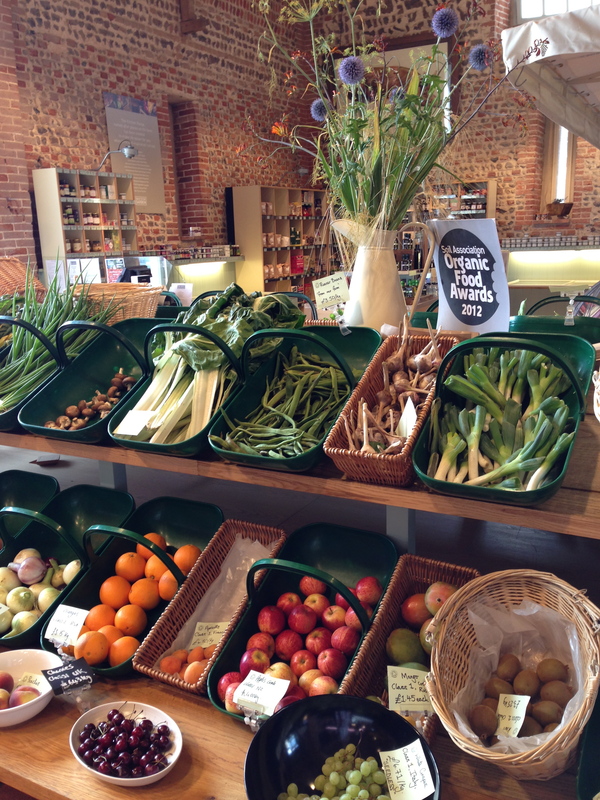 Today I decided to explore a little more of Norfolk, I had heard via Twitter about a Farm shop and restaurant near Holt. 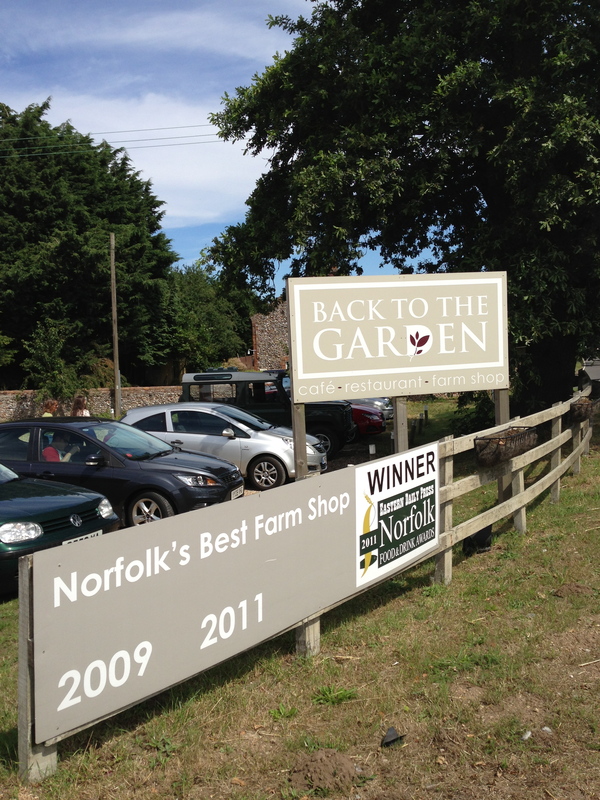 Back to the Garden is in Letheringsett North Norfolk on the Fakenham road. Very easy to find. 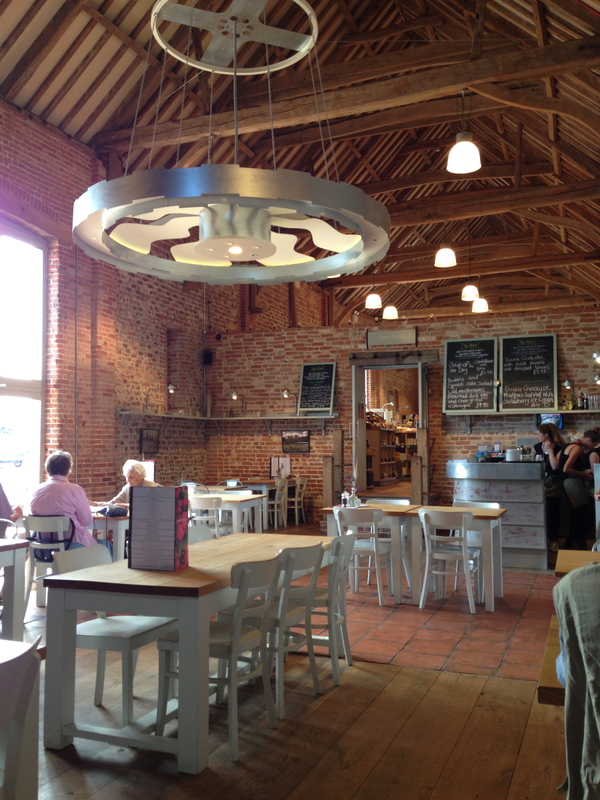 The Barn Cafe and Restaurant were very nice, set in a renovated threshing barn. 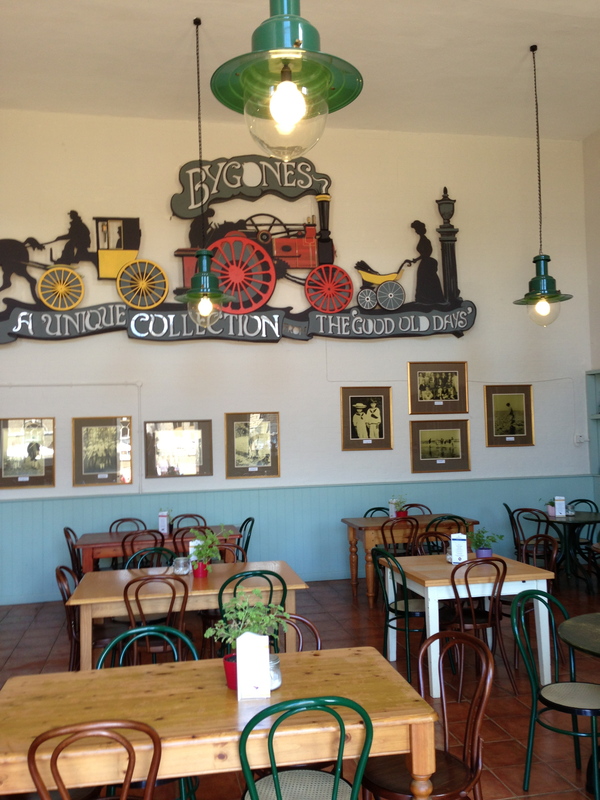 I loved the photographs on the walls, the restaurant felt very new. 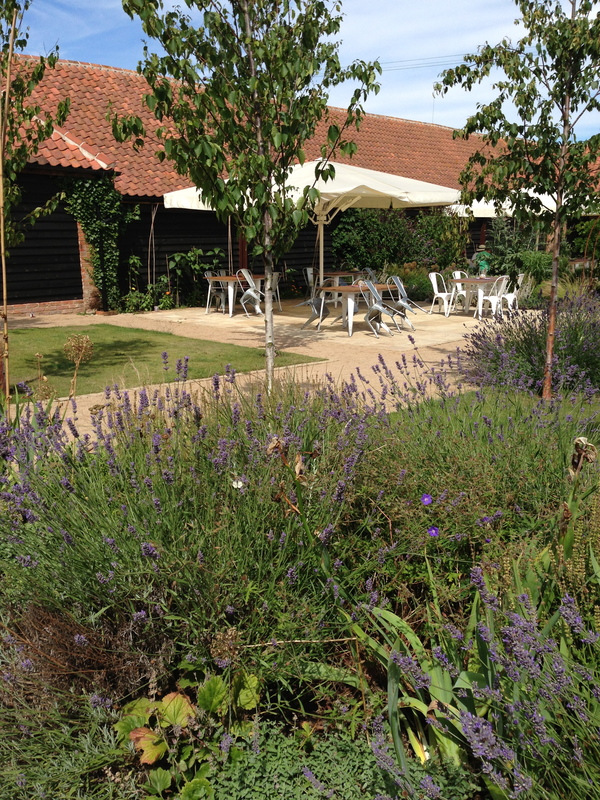 As well as the beautiful barn the restaurant and cafe also has a lovely garden where you can eat alfresco. 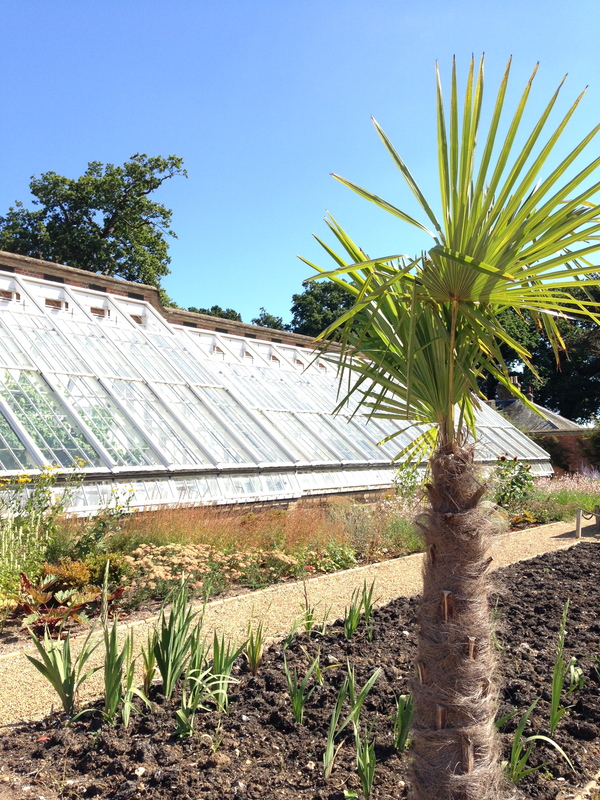 A lovely sun trap too. I was excited to see what choices there would be for Coeliacs and gluten intolerant customers. I was pleased to see two choices of cakes. A orange and almond polenta cake and a lemon cake. I chose the lemon cake and a English breakfast tea. I would have preferred a caffeine free tea or camomile tea but neither was available. I wished I’d had more time to have a meal but will definitely return with the family to try it very soon. The lemon gluten free cake was absolutely delicious and had a sharp lemon and sugary taste. A lovely treat! I was pleased to see that the gluten free cakes were covered with glass display lids and that my waitress used a new separate knife to cut my cake slice. 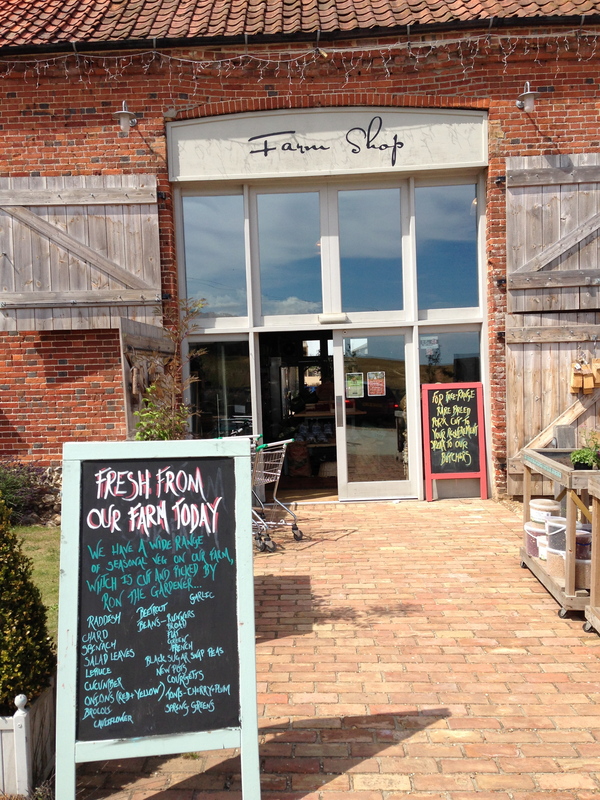 Next to the Barn restaurant is the amazing Farm shop possibly the best farm shop I have seen. 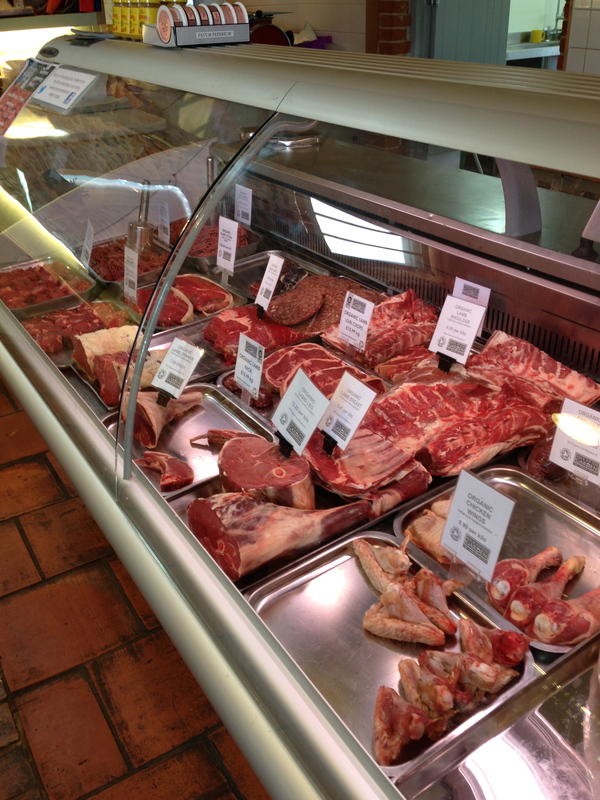 Great to see so much local produce, organic vegetables, organic meat including gluten free sausages and beef burgers made on site by the farm shop’s butchers, who had good knowledge of cross contamination. There is also a Deli well stocked with wines and cheese. Brays cottage famous Pork pies and fresh bread for gluten eaters , and gluten free Muffins and cakes from Wow muffins, definitely worth trying. 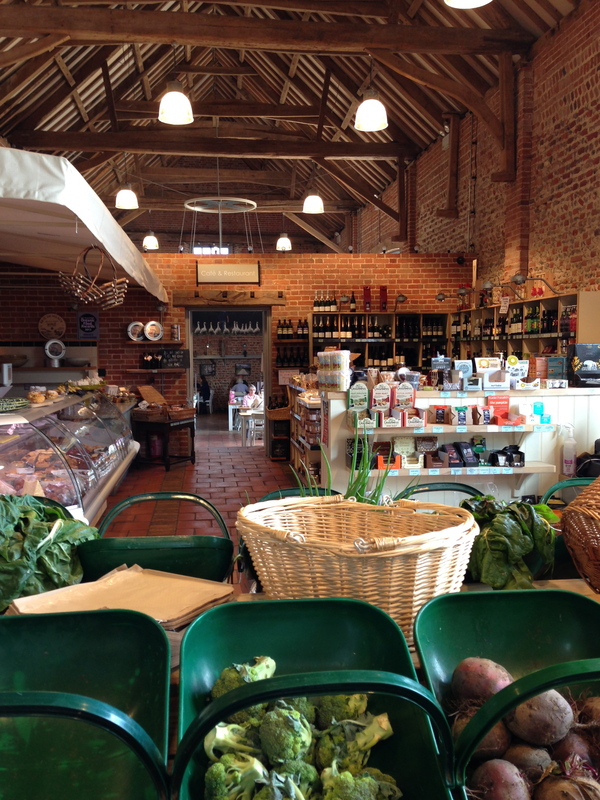 I will be returning to this farm shop and restaurant very soon. Definitely worth the drive! 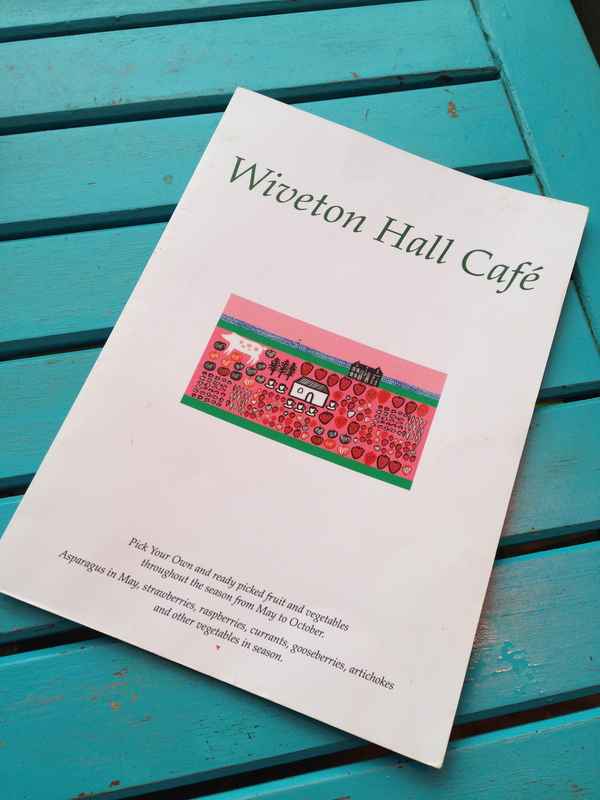 On Friday I took a drive out to Wiveton Hall, a farm and gluten free friendly cafe. 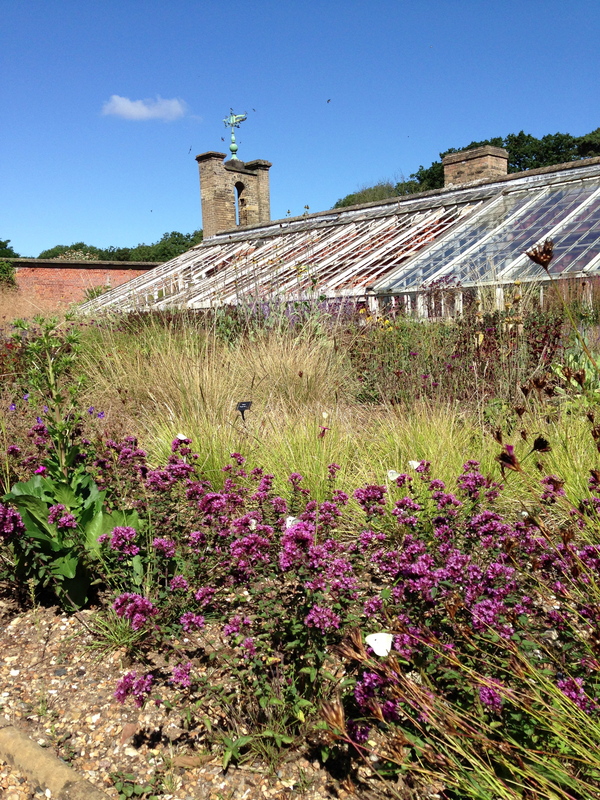 Situated on the North Norfolk coast road between Blakeney and Cley. Unfortunately I seemed to follow a thunderstorm along the coast. 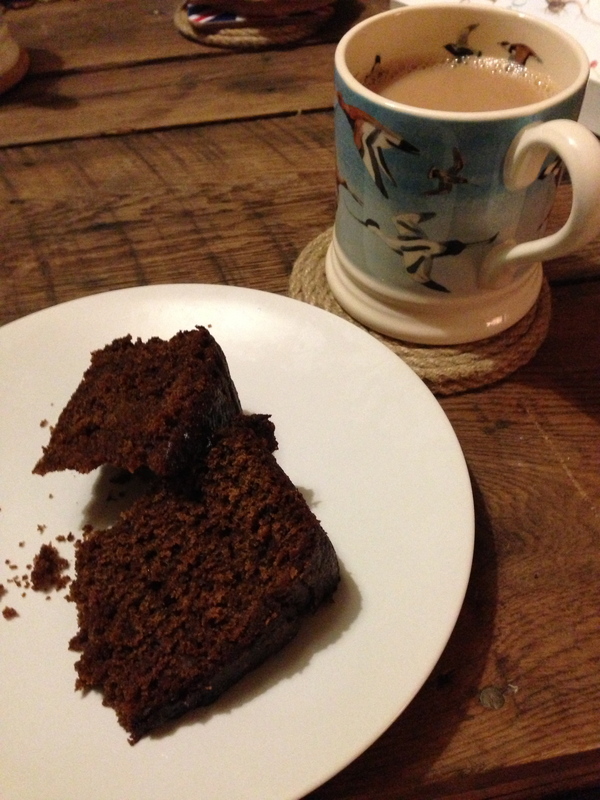 The heavens opened and the sky lit up with flashes of lightning, but nothing was going to stop me getting to the gluten free cake! 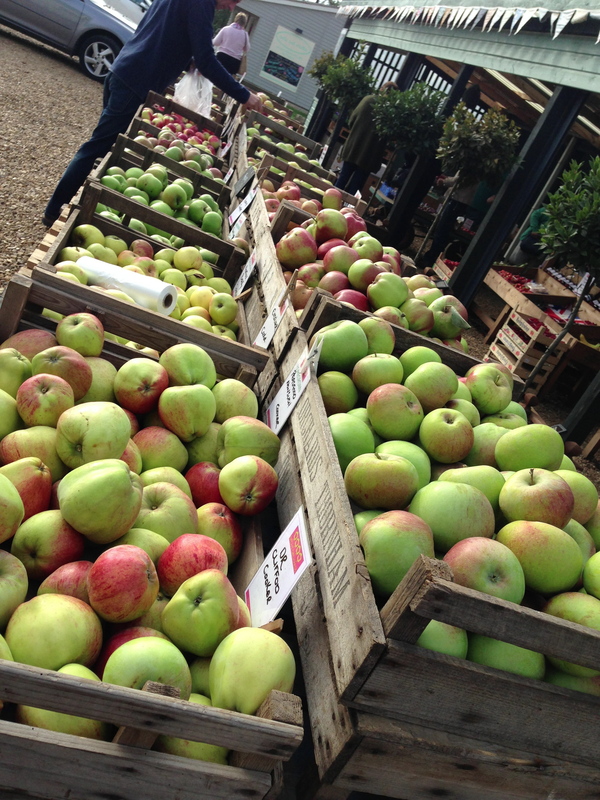 Wiveton hall is very much a working farm with pick your own. 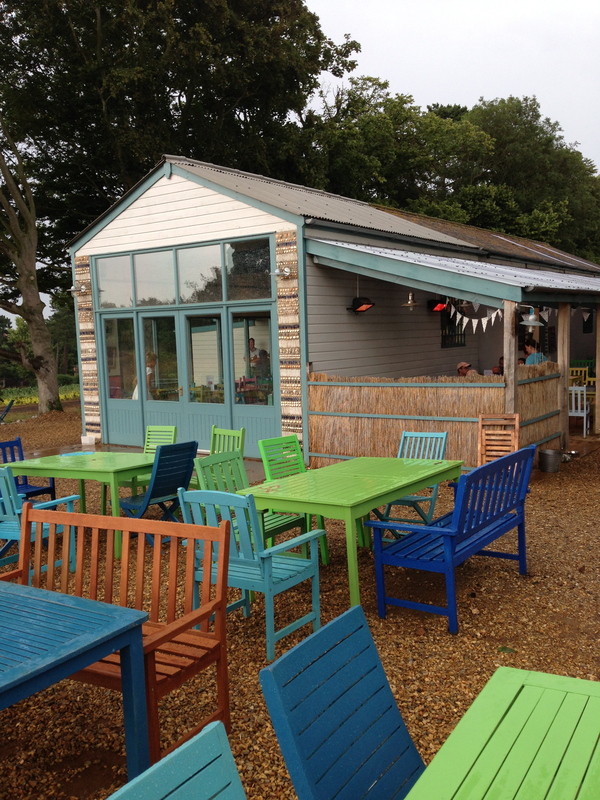 The farm also has a perfectly placed cafe with distant views out to the sea. Perfect on a dry day! 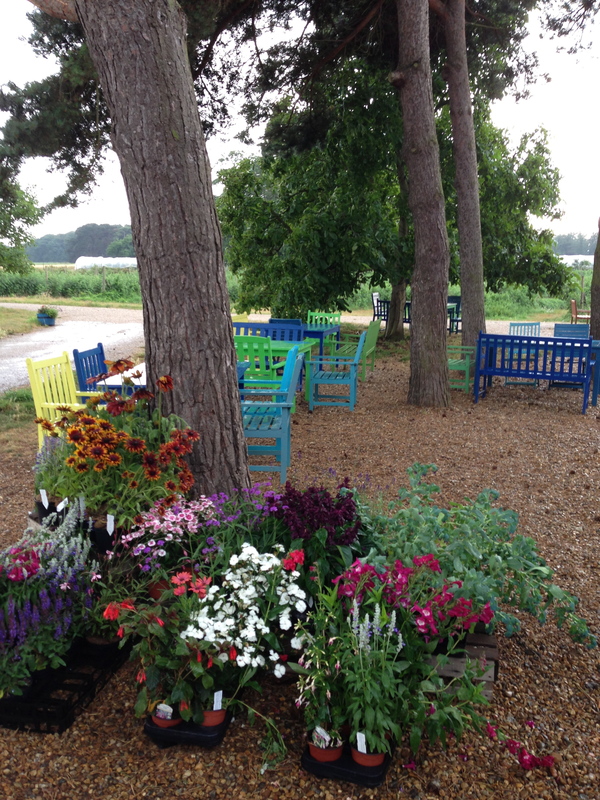 The tables are surrounded by strawberry plants and raspberry bushes and guinea fowl wandering around. Pretty perfect! 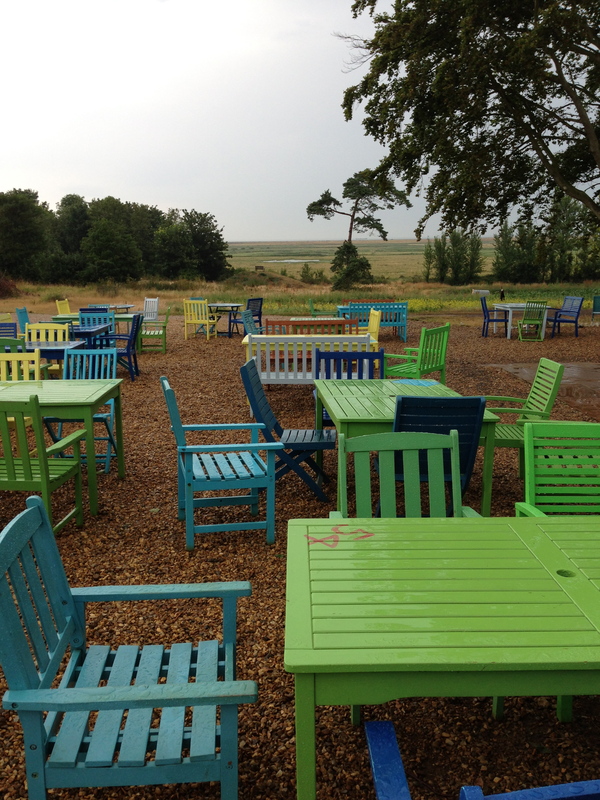 I particularly love the brightly coloured benches and tables inside and out. An idea I have pinched for my own garden. 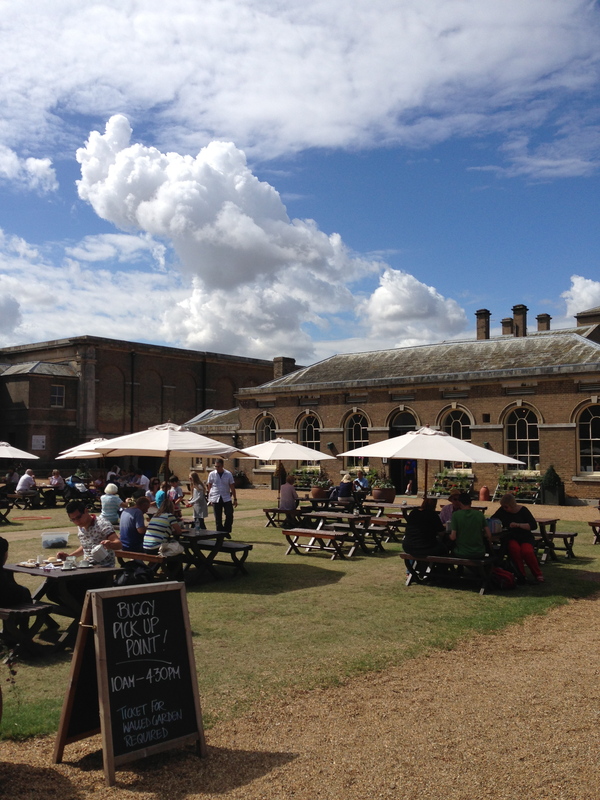 Fortunately there is some cosy undercover seating with heaters, and a beautiful cafe inside. As I taken the Dog I sat in the covered area outside. Firstly I popped inside to have a look at the huge array of cakes. 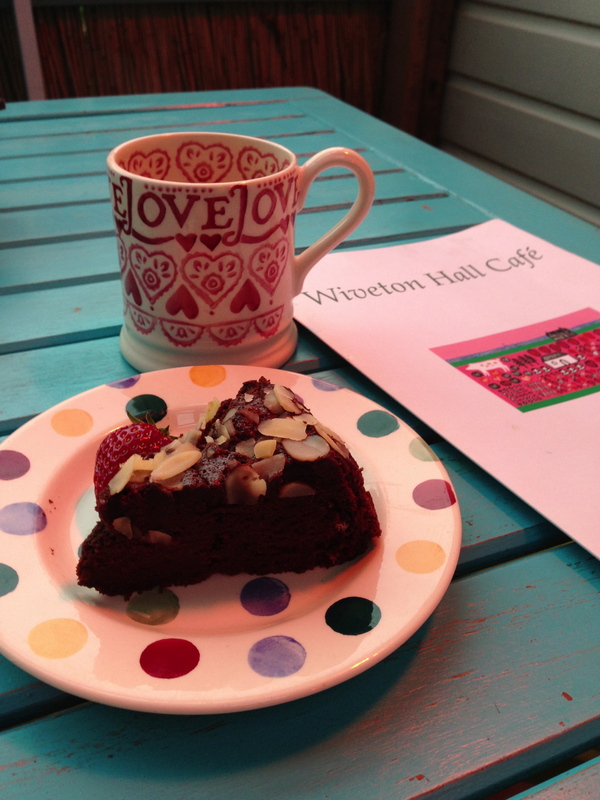 , The cafe often I think, has a choice of gluten free cakes, today they only had one gluten free cake. 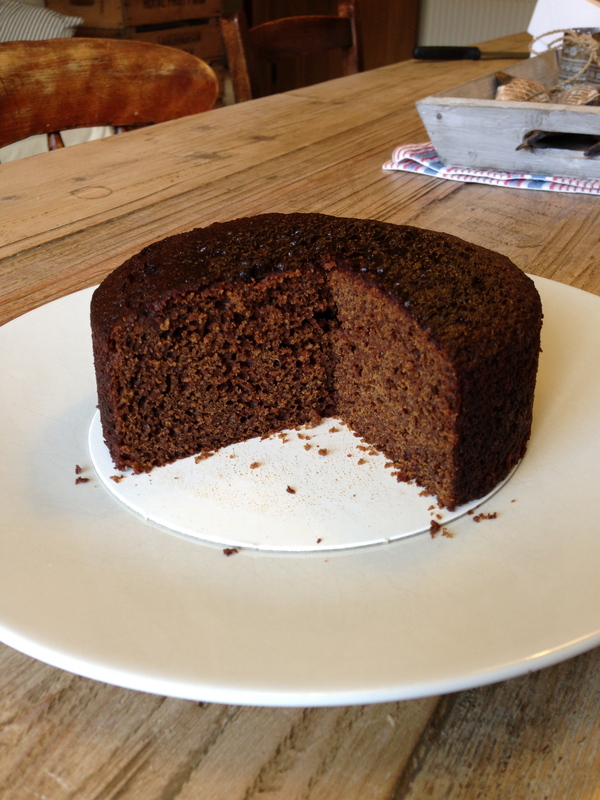 But it was a chocolate and almond cake which looked divine! 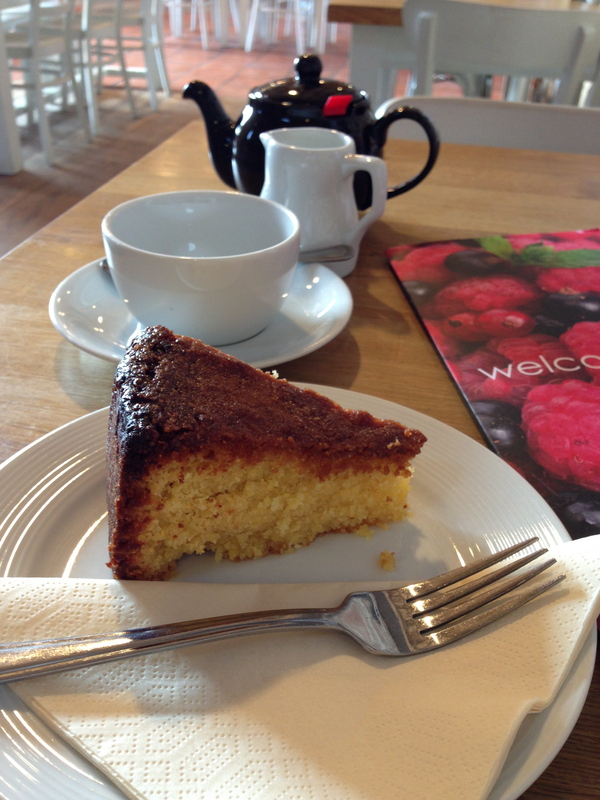 I checked with a member of staff if the cake had its own serving knife, which it did. He then went on to tell me that his Mum was also Coeliac which was reassuring to know he was aware of cross contamination. He went on to say that many Coeliacs ate at the cafe. Good to know! 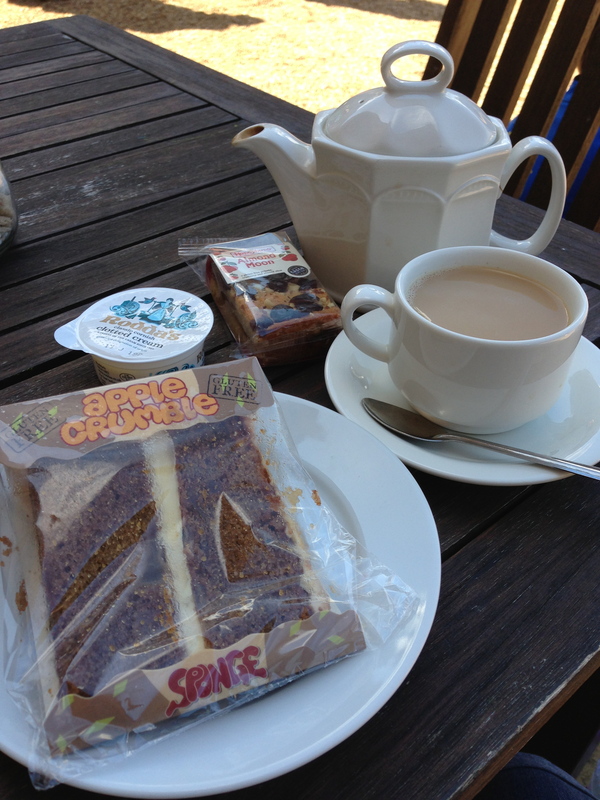 My Cake and Camomile tea arrived quickly and I wasn’t disappointed. 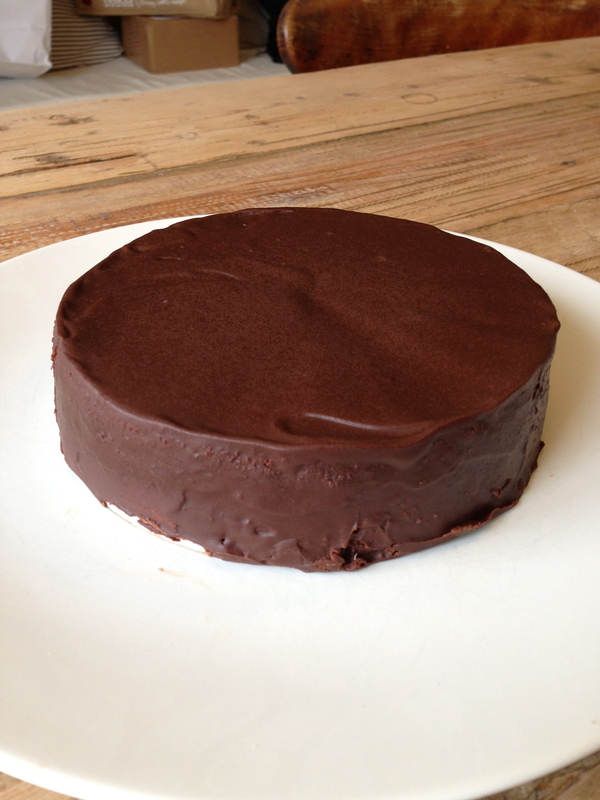 A rich deep chocolatey pudding type cake, absolutely scrummy. Would have been even nicer with a dollop of thick cream. The crockery is all Emma Bridgewater, a lovely touch. Not a cheap choice, but added to the overall appeal of the cafe. 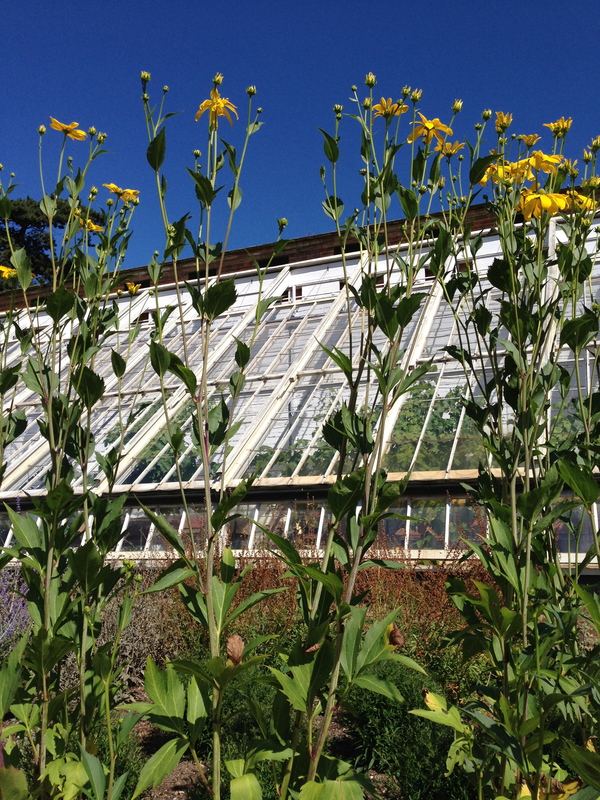 The farm also has a good range of plants and I treated myself to some Sea Lavender for my garden. 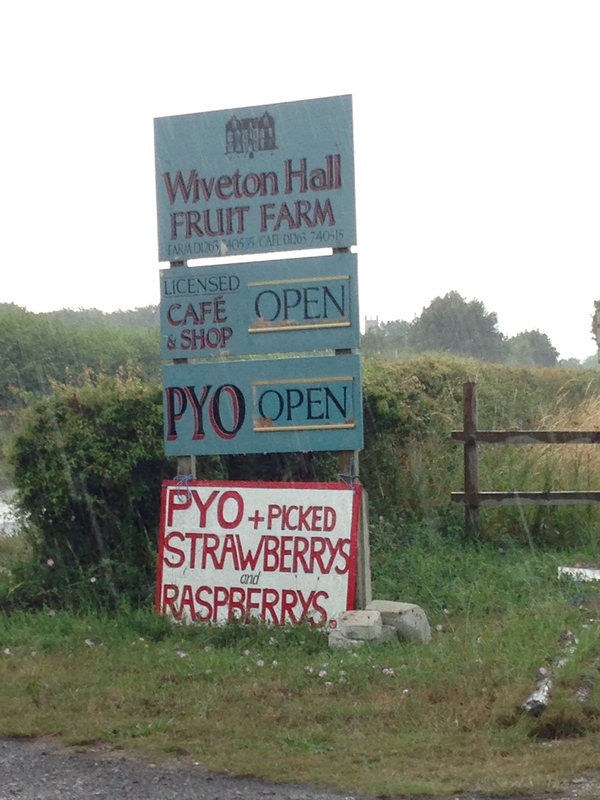 Even in a thunderstorm Wiveton Hall is a great place to visit. I hear the Tapas nights are very good. 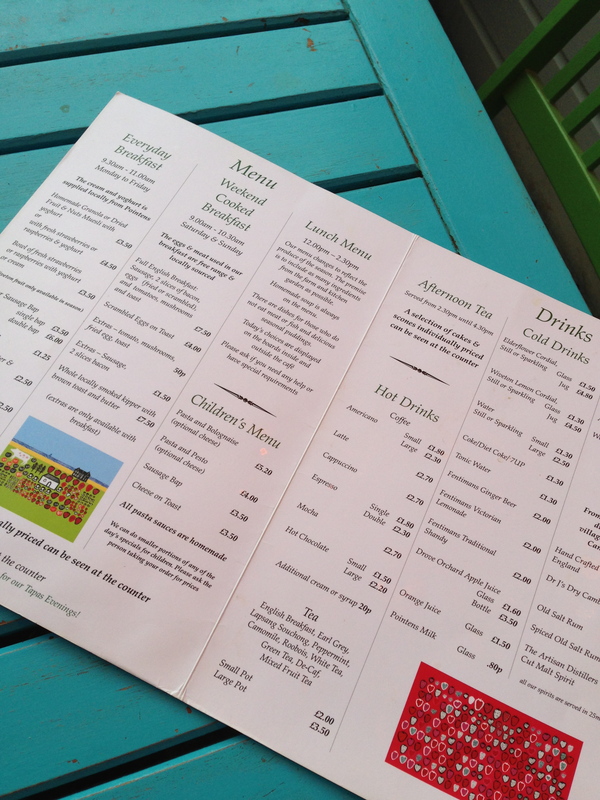 Booking is advisable for All meals, as this is a popular venue.